Top Rated Science Tutors in San Francisco, CA! 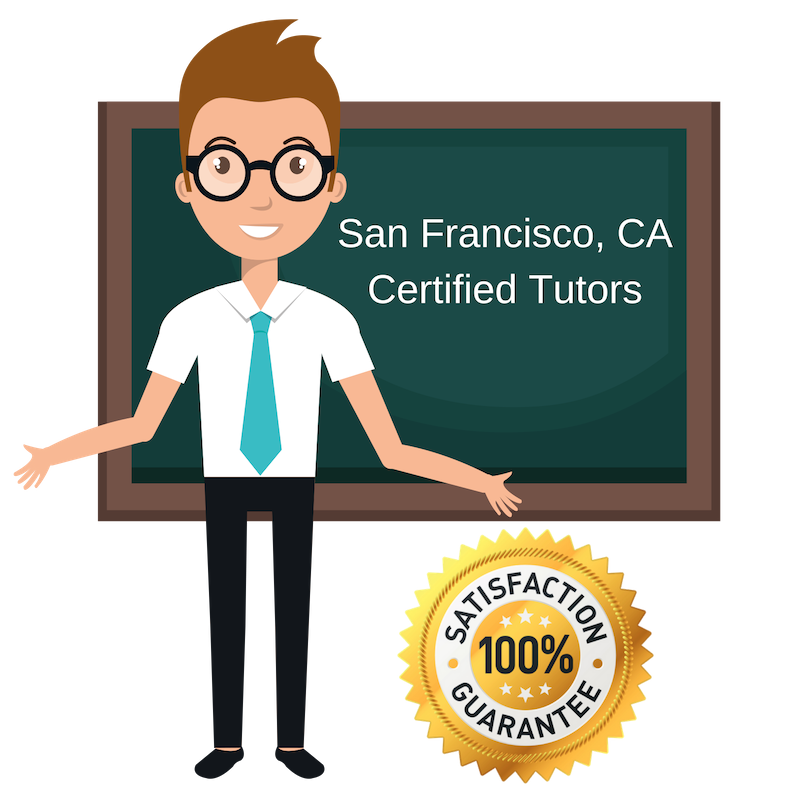 Welcome to San Francisco’s top-rated private science in-home tutoring service! All of the following San Francisco science tutors are certified by Varsity Tutors, the leading tutoring agency in the country! All San Francisco science tutors have been background checked, been interviewed, had mock science tutoring sessions, and been trained by professionals. We guarantee you will love your local San Francisco science tutor or your money back! Get information regarding a top-rated science tutor today! I am a tutor for various subjects in science and English, currently located in San Francisco, CA. I am presently enrolled at the University of San Francisco for my undergraduate degree in biology. In addition to my major coursework, I am pursuing the pre-med track and plan to attend medical school to someday become a surgeon. I have previous experience tutoring students of different age groups in science, English, and mathematics. During high school, I was involved with the National Honors Society. As a member, I worked tutoring peers in writing and the technical disciplines. Today, I tutor these subjects and more including geometry, elementary algebra, advanced algebra and biology. I favor tutoring students in the sciences because I believe I am best able to connect with these students due to my own personal interest in the subject. Regardless of the subject, I work hard to make sure that my students are interested in the topic at hand, because I have observed that interest improves memory retention and willingness to improve understanding. I am a strongly motivated personal tutor working with students in San Francisco, CA. I am available for working with students one-on-one but also have a strong appreciation for team-based learning. I have a passion for education which I exercise through my work as a tutor. I live for the moments when the students I work with recognize that they have mastered a difficult topic or finally understood something that they previously struggled with. I am currently available for assistance in difference science subjects, including anatomy, biology, and more. I look forward to meeting and working with students who hope to improve their academic performance or explore new subjects. A tutor with more than six years of experience working with students of different ages and backgrounds, I am now available to tutor students in San Francisco, CA in different topics in science. I have worked as a peer tutor, volunteer tutor in public school settings, and private tutor, and am comfortable communicating with and advising in several subjects. I prefer to teach students strategies and critical thinking skills which could be applied to several different topics rather than simply regurgitating information to them. When individuals are able to identify the “big picture” themselves, they can apply their own experiences and practical knowledge to explore a topic or solve a problem in a way that they will better understand and remember. I look forward to working with new students who are interested in mastering topics in the sciences. I am a native of the San Francisco, CA Bay Area and currently work as a private science tutor here. I have much experience tutoring children of various age groups. I am not limited to tutoring any one specific subject matter. My own studies have been quite diverse. I currently hold an MBA in finance and accounting from the University of North Caroline Kenan-Flagler Business School and a bachelor’s degree in art history from the University of California, Davis. As such, I am comfortable working with numbers and technical problems but am also capable of analyzing synthesized works for meaning and expressing myself. I believe my varied coursework has equipped me with an open mind that permits me to approach problems or unfamiliar topics from different points of view, which ultimately helps me to gain a stronger understanding, faster. This is a skill I hope to translate to my students. Currently available as a private tutor of science for students living in the San Francisco, CA area, I am an experienced educator with an interest in showing people how they learn best. As a tutor, I work hard to help individuals identify their unique learning styles and which study strategies best suit them. I have previously worked as a teacher of adult and children alike, at both undergraduate and elementary levels. In addition to tutoring specific course materials, I have experience assisting with valuable skills such as critical thinking and time management. I always keep up an open dialogue during tutoring sessions and want the individuals I am working with to feel comfortable voicing their questions and concerns at any time.